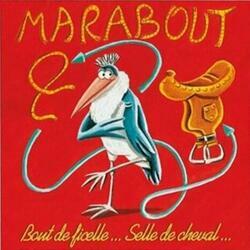 Do you know the game Marabout? A piece of string? Horse saddle? With, each time, an end of word that will allow to start a new word... Well, Marabout, that's right! We propose on each card 4 words (2 on the front and 2 on the back) with for each word 5 mandatory sequences to find (with each time 2 clues) and let's go.